NORTH LONG BEACH, Long Island (WABC) -- A man accused of robbing and assaulting a bystander Friday on Long Island was arrested. 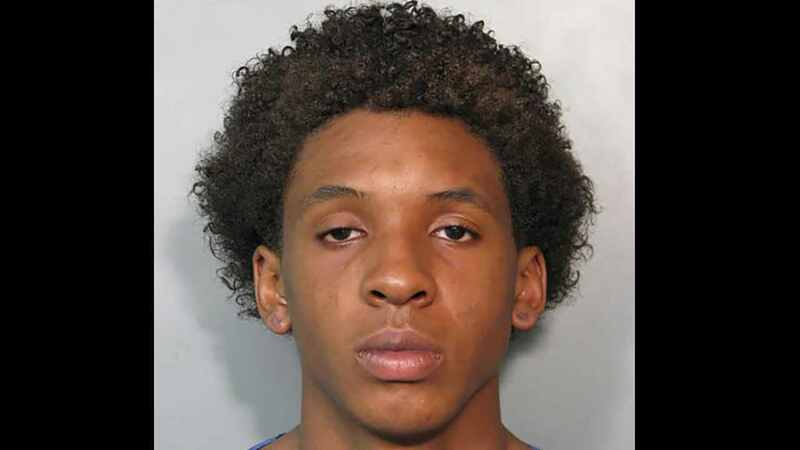 Police in Nassau County said that 16-year-old Treyvon Robertson approached a 15-year-old male on California Place in North Long Beach just after 4:30 p.m. and demanded money. The victim handed over an unknown amount of cash, then tried to get it back. According to the Nassau County Police Department, Robertson then pulled out a folding knife and stabbed the 15-year-old in the chest. The suspect swung his knife, and cut the victim again in the ear and wrist, police said. Robertson is charged with robbery, assault and possession of a dangerous weapon. He's scheduled to be arraigned in Hempstead on Saturday.